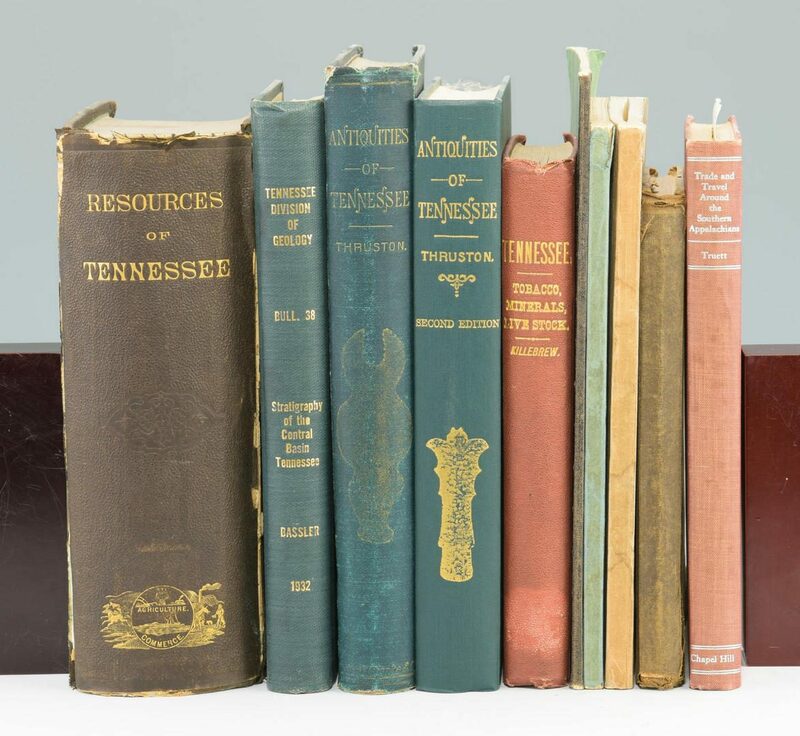 Book 1: Introduction to the Resources of Tennessee. 1874. . Author: Killebrew. Book 2: Report of the Bureau of Agriculture… 1876 ("tobacco minerals" on spine). Author: Killebrew. Book 3: Elementary Geology of Tennessee. Authors: Safford and Killebrew. Book 4: Valley of East Tennessee. Author: Case. 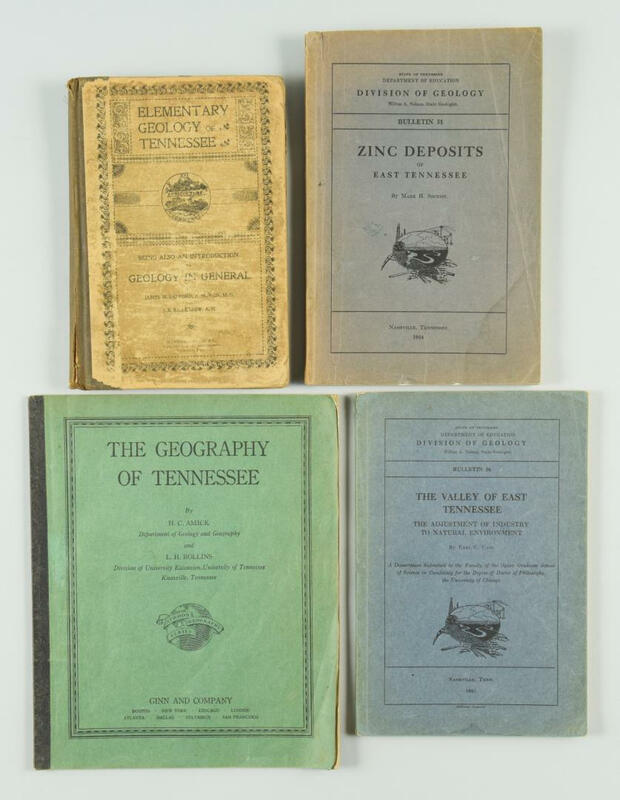 Book 5: Zinc deposits of East Tennessee. One map. Author: Secrist Book 6: Stratigraphy of the Central Basin. Table and four maps present in rear pocket. Author: Bassler. Book 7: Antiquities of Tennessee. First edition. 1890. Author: Thruston. Book 8: Antiquities of Tennessee. Facsimile reprint. 1972. Author: Thruston. Book 9: Geography of Tennessee. Author: Amick. Book 10: Trade and Travel Around the Southern Appalachians. Signed on title page by Truett. Author: Truett. Books range in size from 7 7/8" H x 5 5/8" W x 3/4" D to 10" H x 7 1/4" W x 1 3/8" D. Collection of Charles and Ann Wells, Nashville, Tennessee. CONDITION: Books in good to very good condition excepting Killebrew. Intrduction which has heavy wear to covers and is ex-library. Fold-out map is present but has interior tears to folds. Safford and Kiilebrew's Elementary Geology is good only with some heavy wear.